How awesome would it be if you could control a coffeemaker with your smartphone? Or what if your showerhead could play music streamed from your tablet or laptop? Would you be impressed by an outlet that turned on whenever you entered the room? Now think about how much your friends and family would love you if you gifted them one of these awesome gadgets! With the holidays just around the corner, now is the perfect time to snag one of these amazing smart home devices. New to the smart home trend? Start with our intro to smart home devices What Is A Smart Home? What Is A Smart Home? We recently launched a Smart Home category at MakeUseOf, but what is a smart home? Read More and our observations on why smart home devices are worthwhile I Lived in a Smart Home for 20 Years. Here's What You Should Know. I Lived in a Smart Home for 20 Years. Here's What You Should Know. 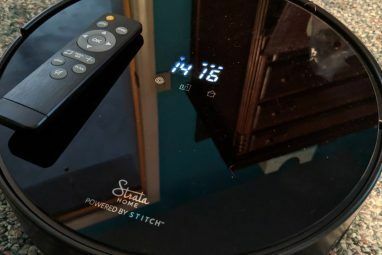 MakeUseOf spoke with one of our regular readers and commenters, Ben Stutt, of Rock Hill, South Carolina, USA, about his experiences living in a smart home. Read More . It’s not a gimmick! 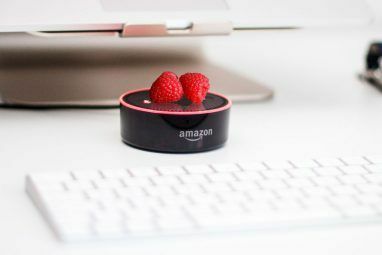 Some people view the Amazon Echo as nothing more than a glorified speaker, but it’s so much more than that — it has far-field voice recognition, which means you can speak commands to it from a distance and it will react accordingly. The commands can do more than just operate the device. For example, “Will it rain today?”, “Set an alarm for noon”, and “Play music by Parov Stelar” are all valid. Actually, the device itself has no buttons, so it’s entirely voice-driven. It’s sure to transform any household. Read more about it in our review of the Amazon Echo How Amazon Echo Can Make Your Home A Smart Home How Amazon Echo Can Make Your Home A Smart Home Smart home tech is still in its early days, but a new product from Amazon called "Echo" may help bring it into the mainstream. Read More . This coffee-brewing machine is way better than you’d expect. 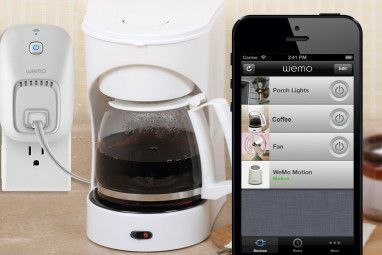 Using the free WeMo mobile app (which is compatible with other Belkin WeMo smart home products), you can control the Mr. Coffee Smart Coffeemaker for fresh hot coffee at your convenience. Thanks to its built-in Wi-Fi capabilities, the app makes it easy to configure the device and schedule brewing times no matter where you are. And even with a 10-cup carafe size, the device can brew a full-capacity batch of coffee in just seven minutes. Like the coffeemaker above, the Crock-Pot Smart Slow Cooker is a convenience device that can make anyone’s life easier. It too uses the free WeMo mobile app for control, allowing you to adjust cooking times, change temperatures, or shut the device on/off without even being home. It has a six-quart capacity, which is large enough for most households, and both the lid and the cooking basin are safe for dishwashers. Programmable slow cookers have existed for quite a while, but this one is simply on another level. Ask anyone who lives in the suburbs with a large lawn and they’ll tell you how much of a pain it can be to properly maintain the grass. With the Rachio IRO Smart Lawn Sprinkler, everything is automatically taken care of — and the grass will look and grow healthier for it. Using its built-in Wi-Fi capabilities, the sprinkler pulls real-time weather and seasonal data to determine optimal watering patterns. This means it can save up to 30% on lawn water usage, thus reducing long-term costs. And best of all, it integrates into all kinds of home automation systems: Nest, Wink, and even IFTTT. This sprinkler is a great example of how smart home devices can save energy and money Save Energy and Money With These Smart Home Devices Save Energy and Money With These Smart Home Devices One of the biggest benefits of a smart home is the energy saving technologies available. As well as saving money, you’ll also be pushing toward a more sustainable, convenient living situation. Read More . For the person who blasts their smartphone on the sink while taking a shower, the Kohler Moxie Bluetooth Showerhead may just be the ideal gift. It’s a standard showerhead that comes with a removable wireless speaker that can stream music from smartphones, MP3 players, laptops, and tablets. It uses Bluetooth, so it’s capable of receiving signals from up to 32 feet away. And because the speaker itself is removable, it can play music anywhere at any time — not just in the shower. The showerhead component is available in two water flows: 2.0 or 2.5 gallons per minute. To smarten up one’s bathroom even further, consider getting a smart sink faucet 3 Reasons Why Your Next Faucet Should Be a Smart Faucet 3 Reasons Why Your Next Faucet Should Be a Smart Faucet People tend to think of smart faucets as gimmicky and gratuitous. Is there really enough room for improvement to justify an upgrade? I'm here to convince you: yes! Read More as well. The Kolibree Smart Electric Toothbrush is an excellent way to encourage and maintain dental hygiene for the whole family, but especially for kids. It has all of the benefits of a gentle electric toothbrush, but with one important addition: a free compatible mobile app. The Kolibree mobile app connects to the toothbrush and monitors brushing activity. The toothbrush itself has 3D motion sensors which allow the app to provide real-time feedback on whether or not you’re brushing effectively. It also provides games and coaching to help kids build good brushing habits. It’s just one of many smart home devices you didn’t know you wanted 5 Interesting Smart Devices You'll Probably Want In Your Home 5 Interesting Smart Devices You'll Probably Want In Your Home Here are five smart products that you probably had no idea were out there. Read More . We’ve covered several smart outlet plugs Which Smart Plug Is the Best One for You? Which Smart Plug Is the Best One for You? Even if you aren't into the whole smart home automation trend, you really should get yourself a few smart plugs. They're one of the easiest smart home products to use. Read More in the past, but the Zuli Smartplug is the newest one to hit the market — and probably the best of its competitors at this time. It has a built-in energy monitor and dimmer functionality, but also has one more feature that sets it apart. When you use at least three Zuli Smartplugs together, a feature called Zuli Presence kicks in. The smartplugs form a zone, allowing the devices to detect when someone enters or exits said zone — and turn on or off accordingly. The smartplugs can also be controlled remotely with the Zuli iPhone app. The Dropcam Pro Security Camera is an awesome buy for anyone who has trouble sleeping at night due to security worries. On the surface, it may seem like little more than a high-quality always-on webcam, but there’s a lot to like about the Dropcam Pro, and anyone would be lucky to get it as a gift. The camera itself has a 130-degree field of view, zoom functionality, night vision functionality, and high-definition 720p video. Footage gets uploaded to the Dropcam Cloud and is stored for 30 days. Other smart features include two-way talk (between the camera and smartphone), motion alerts, and more. And best of all, setup takes less than a minute as it quickly connects to Wi-Fi without any configuration needed. For even greater security, consider combining it with a smart home door lock Forget Keys: 5 Smart Locks You Can Unlock With Your Phone Forget Keys: 5 Smart Locks You Can Unlock With Your Phone Here are 5 different locks that you can unlock with your phone. Read More . The Roomba was once a trendy fad that bordered on gimmick, but as evidenced by the more recent versions — such as the iRobot Roomba 770 — this little house-cleaning robot has proven to be a device worth its price. Using a full suite of proximity sensors, the Roomba can navigate an entire home. It has a three-phase cleaning process that includes agitation, brushing, and suction — and thanks to its HEPA-type filters, the Roomba cleans well enough to mitigate pet dander and other allergens. Schedule it to clean up to seven times a week. It’s definitely a luxury product, but as far as comfort and convenience are concerned, a Roomba is certainly one of several smart home products worth getting Attention Homeowners: 5 Smart Home Features Worth the Extra Cost Attention Homeowners: 5 Smart Home Features Worth the Extra Cost Which smart home features are worth it? Which ones can be safely tossed aside and ignored? Let's take a look at a few that are actually worth the money. Read More . Which Smart Gift Will You Give? As it turns out, smart home devices don’t have to be expensive 6 Types of Home Automation You Can Actually Afford 6 Types of Home Automation You Can Actually Afford Are you ready to join the smart home revolution but worried that it's beyond your budget? Smart homes aren't that expensive, and there are plenty of components that the average homeowner can afford. Read More . In fact, when you really get down to it, the actual cost of a smart home How Much Does a Smart Home Really Cost? How Much Does a Smart Home Really Cost? A smart home could change your life – freeing up time in your day and regulating your routine so you don't have to remember what needs to be done. But how expensive is it, really? Read More is way less than you might expect. These devices are worth every dollar, which is why they make for great gifts. No one will be disappointed. As far as security, just remember to brush up on these common smart home safety concerns 5 Security Concerns to Consider When Creating Your Smart Home 5 Security Concerns to Consider When Creating Your Smart Home Many people attempt to connect as many aspects of their lives to the web as possible, but many people have expressed genuine concerns over how secure these automated living spaces actually are. Read More and you’ll be fine. It’s nothing to be alarmed about. 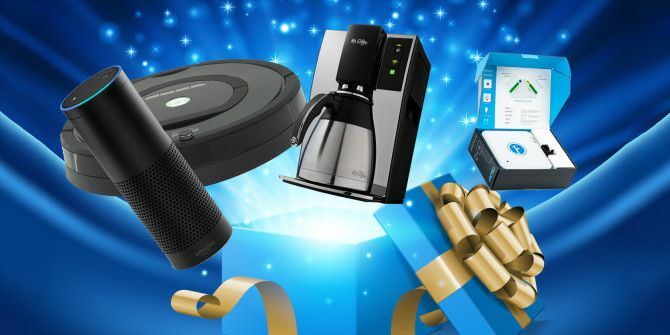 So which of these devices looks the most gift-worthy to you? If you could pick one, which would you want? Drop a comment below and share your thoughts with us! Explore more about: Gift Guide, Home Automation, Smart Appliance. if i had to choose which product I would recommend less then anything on this list, it would be anything that is Wemo related, it doesn't work with the lights, and when you update the firmware it disconnects all of the lights and you have the reset your entire system. Thanks for sharing, Alex. It's always good to hear about user experiences for products like these. I'll keep that in mind the next time I look at Wemo stuff.